Geospatial Underwater Mapping Keeps Lights on in D.C.
A submerged electrical transmission conduit of unknown depth and location spanned a river that needed dredging for increased shipping traffic. Geospatial was called to determine the precise 3-D coordinates including depth of the conduit to ensure safety and keep the electricity flowing. A section of river needed to be dredged to ensure safe passage of larger vessels to the Washington Naval Yard. However, there was a 2200’ 8” diameter of submerged conduit spanning the river channel and only rudimentary positioning information was available. Exact 3-D location of the conduit was essential before the dredging and boat traffic began as these activities could cause significant damage to the conduit and interruption of electrical service. Geospatial pipeline mapping specialists utilized their Smart Probe® Inline Mapping Device and were able to effectively and accurately create a 3-D spatial map of X, Y, and Z (depth) coordinates of the entire segment of pipe without the need for divers or underwater inspection. This map allows conduit stakeholders to observe the depth and exact position of the pipeline, and to maintain this information in their GIS for future reference due to the ability of GeoUnderground® to integrate with their existing system. 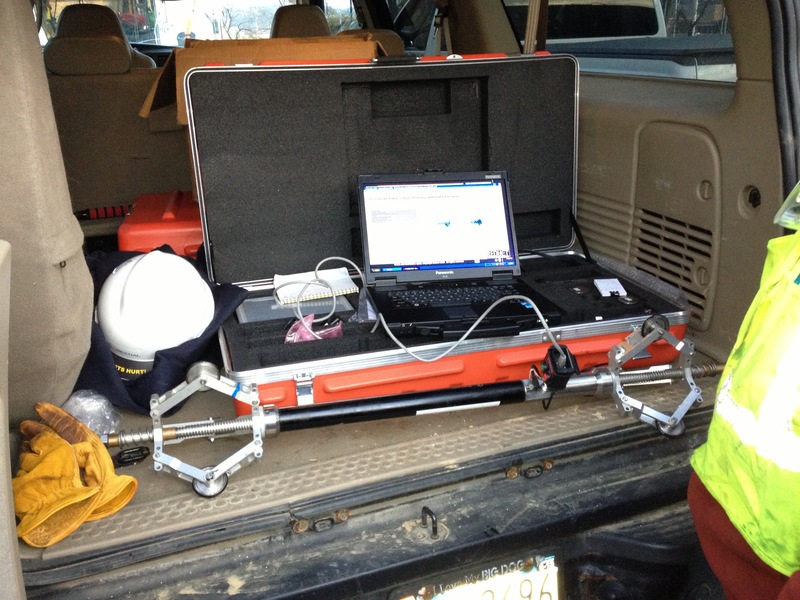 Following Geospatial’s mapping, an affiliate contractor utilized a metal-loss tool on the conduit to ascertain its condition. This data was then combined with the digital mapping data to allow XYZ correlation to any existing weakened areas of the conduit. The entire mapping process took ONLY ONE working day in the field, followed by only one day of data processing at Geospatial headquarters. -Expertise in underwater mapping with Geospatial Smart Probe Technologies. -Acquiring accurate data and providing a safe environment for workers in charge of dredging the river and the continued delivery of electricity. -We also acknowledge the cooperation of our affiliate condition assessment contractors.